There are an estimated 500 million smallholder farmers in the world. Only 7% have access to financing for inputs like improve seeds, fertilizer or tools. The lack of financial access is primarily due to the lack of a formal credit profile of farmers and the cost of developing one. However, new data sets have the potential to mitigate this information asymmetry. 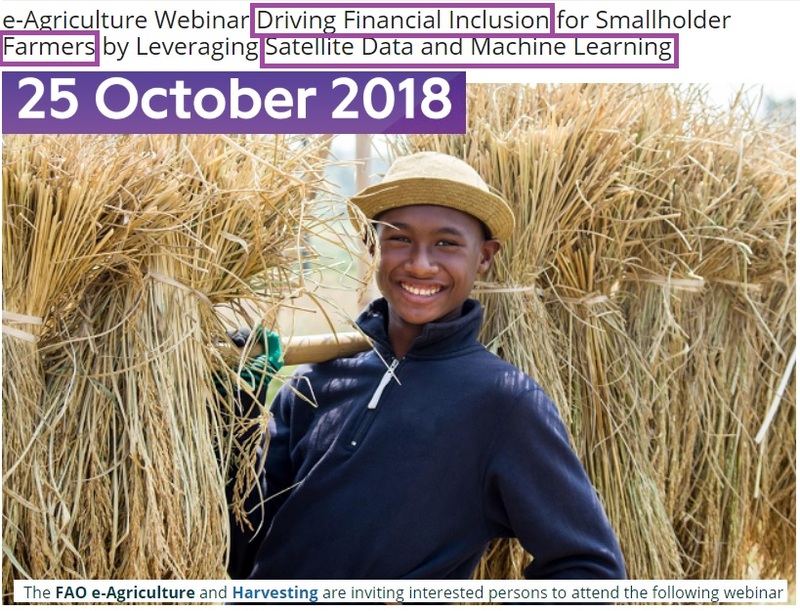 Specifically, Harvesting has developed tools - using satellite data and machine learning - to help create credit profiles and financial inclusion for smallholder farmers. For example, real-time monitoring the location and condition of croplands can enable an accurate and quick assessment of the farm’s performance and viability. Harvesting’s Agricultural Intelligence Engine leverages satellite data, ancillary data, and a machine learning algorithm to provide tools aimed at enhancing the credit-related and monitoring capabilities of organizations lending to the agriculture sector. With relevant satellite data based outputs, lenders can efficiently understand the past, present and future activities of an individual farm, which may incentivize financial institutions to lend more to farmers, even those in the most remote locations. As part of our presentation, we will demonstrate some of the core competencies of Harvesting’s Agricultural Intelligence Engine including its ability to place an individual agricultural field in its environmental context and to derive thematic, spatial, and temporal crop-specific information about that field. We will use different geographical locations and scales and show results as time series graphs, photo material, and high-resolution digital imagery in Google Earth.